On the eve of the first anniversary of its $9.95 price point, MoviePass has finally found a solution it likes and is sticking to it. The subscription service announced on Tuesday that it’s moving from the all-you-can-watch for $9.95 per month plan to a plan that allows three movies for $9.95 a month. MoviePass spent the last two weeks putting on its own horror show — one that included shutting subscribers out of seeing the latest chapter in the Tom Cruise ‘Mission: Impossible’ series and borrowing an emergency $5 million to pay its processing partner. “We know that at times, the frequent changes to our service have been frustrating to you,” wrote MoviePass chief Mitch Lowe in an email to subscribers. Lowe claims his company’s changes cater to the majority of MoviePass’ movie-going customer base. 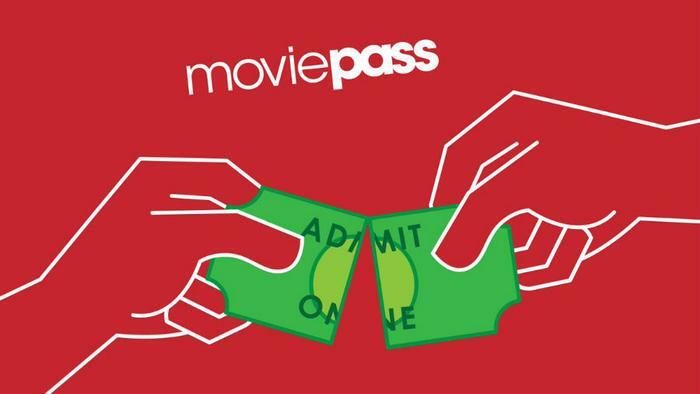 Backing up that assertion, Lowe pointed to a research study which showed that 85 percent of MoviePass members go to three movies or less per month. Members will be able to see up to three standard movies per month for $9.95 and be given up to a $5.00 discount to any additional movie tickets purchased. Many major studio first-run films will be included; however, there will be some exceptions. Peak Pricing and Ticket Verification requirements for all members will be suspended. Lowe said that MoviePass members with a monthly subscription renewing on or after August 15th will be given the option in the MoviePass app to transition to the new plan. Quarterly and annual subscribers will not be impacted until their renewal date. MoviePass’ decision may have quieted the moviegoers yelling “Fire!,” but its relentlessness in yanking the customer’s chain left many in its subscriber base still complaining. “This is why I canceled #MoviePass. The constant spin & utter lack of accountability for ANYTHING. You offered an impossible deal, people took advantage of it, now it’s ‘unfair’ that they did so. I’m happy over at AMC A-List, which MoviePass mocked, now offering 4x the movies,” tweeted film critic Dan Murrell. Still, the service has its believers. In a StrawPoll about the change, the early results show that at least half of MoviePass subscribers plan to hang on to their membership. For those who: a) live in a large market where movie ticket prices are high; or b) those who will actually go to three movies a month, MoviePass’ three-for-$9.95 can still be considered a good deal. But for those looking for alternatives to MoviePass, the AMC Theatre conglomerate’s “Stubs A-List” offers three movies a week for $19.95 a month. The AMC chain has produced none of the same consumer fright that MoviePass did, and may be in a better position to cut deals with movie producers because it can commit to system-wide deals for its 661 U.S. theatres and 8,200 screens. Sinemia is another MoviePass competitor. Its current promotion is three movies per month for $14.99 and requires a $19.95 initiation fee.